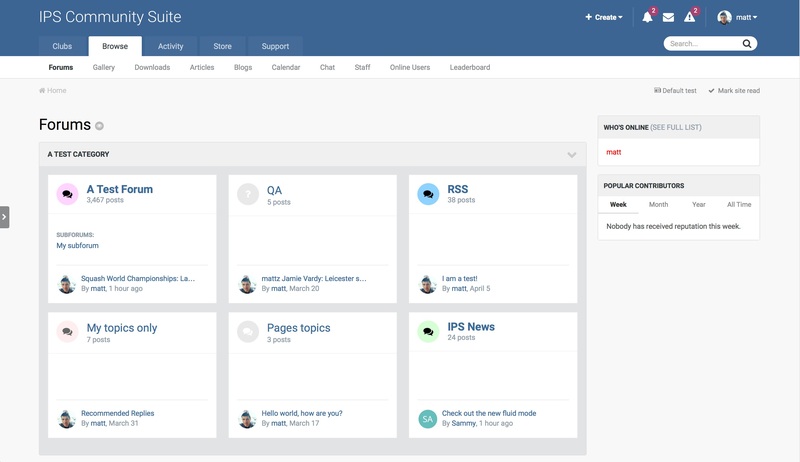 This is an entry about our IPS Community Suite 4.2 release. When you have a diverse range of topics within your community, it makes good sense to separate topics within forums and categories. This will ensure that the viewer can find relevant content by scanning the list of forums first. If you have a more focused community with fewer forums, presenting your community with a list of them can be daunting. This is especially true for less experienced visitors raised on social media. 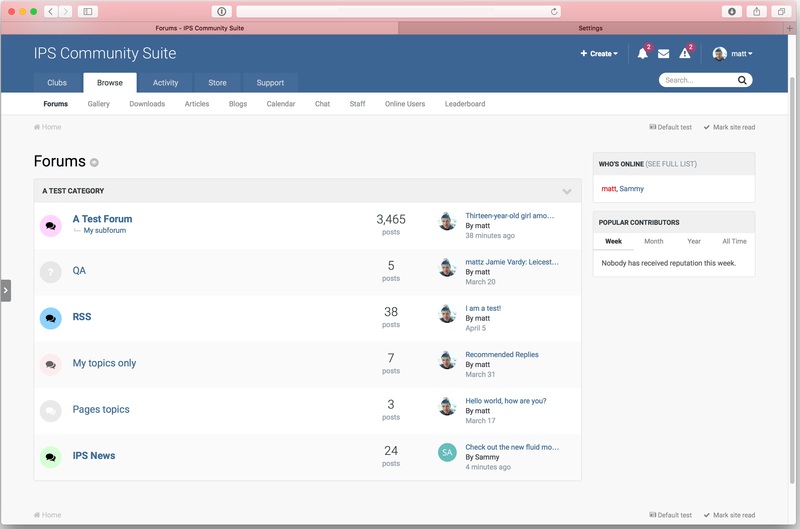 Fluid forum view allows your visitors to get right to the meat of your community; the topics. A fan site for a band is a good example of a community that will benefit with fluid view. There will likely be forums for album reviews, tour dates, general discussion and so on. Even though there are many forums, the common topic is the band. This makes fluid view ideal as your members can see all those related topics in one view. If your members wanted more specific topics, they could select a single forum to view. Let us take a look at fluid view in action. We will then break it down and explain how it works in more detail. 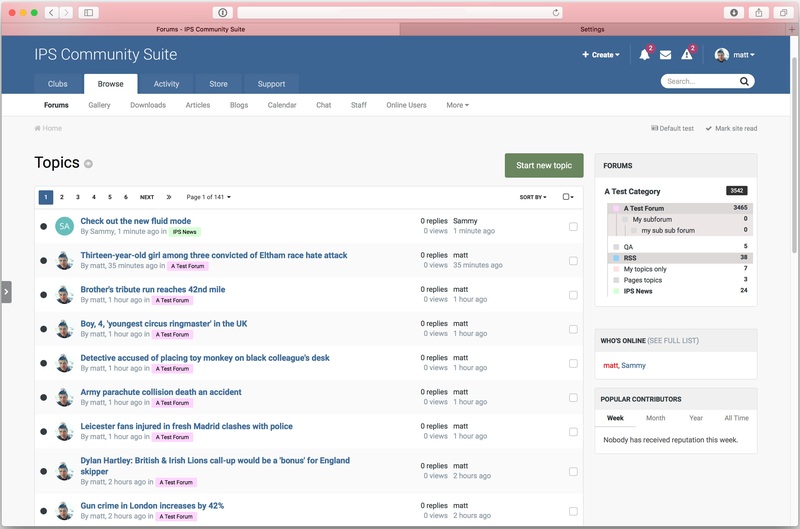 The video shows the topic list and the forum filter box. As you can see, it is easy to change the topic list by changing the selected forums. This view replaces the traditional list of categories and forums. Of course, you can permit your members to change the view to better suit their way of working. You will notice a "grid" option. We have moved the grid forum theme setting into the main forum settings. This makes it an option for your members to choose, if the administrator permits it. You have full control over the display options. 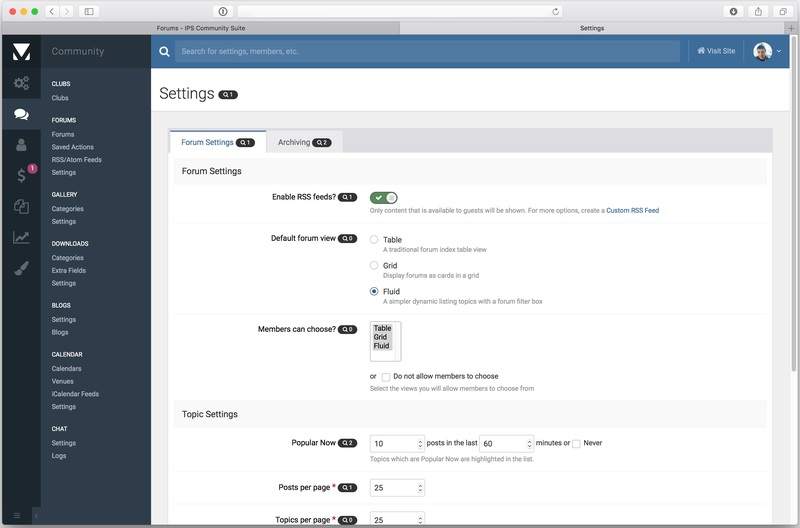 This screenshot shows that the control panel option to choose the default view. There is also an option to control which views your members can select. You may also decide to not allow your members to switch views at all. This will ensure that they all use the view you choose. You may have spotted that forum names have a colored background in some screenshots. We added the ability to define a feature color per forum. 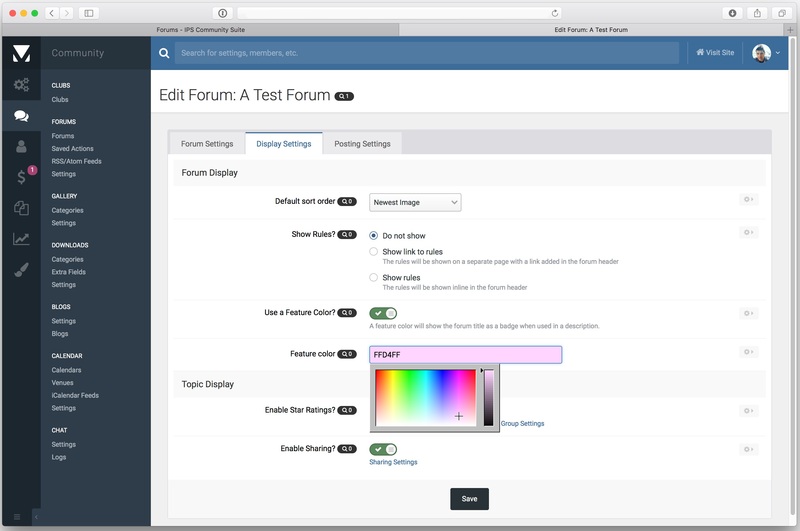 This feature color helps the forum stand out in a more visual way. This is especially useful when you select many forums in a single view. This feature color also works on the table view. 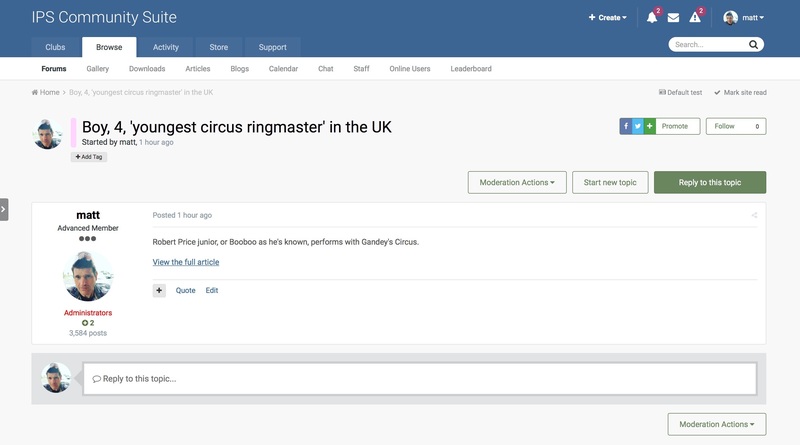 We added a feature color hint to topic view to enforce the association between the forum and its color. This screenshot also shows the removal of the forum breadcrumb in fluid view mode. Fluid view remembers your last forum selection so you don't lose your place when you go back to the listing. The benefit of this feature is easy to see. It removes a potential barrier of entry for your audience. It puts the spotlight on topics themselves, and not the hierarchical forum structure. Your members will enjoy viewing many forums at once and switching between them without leaving the page. We hope that fluid view is an asset to your community and your members enjoy this new functionality. The database stores the members' view choice. This remembers the selection across devices. Guests are not permitted to change between views.